The California Trail Map was designed for outdoor activities including hiking, mountain biking, horseback riding and off-roading. Freeways, highways, primary and secondary roads are included but not all residential streets. Residential and lesser used rural roads are only included when they are needed for trail access, through access or for reference/bearing. Limiting the number of paved roads reduces visual distractions and increases the usability of the trail map features. Detail is increased by zooming into the map or changing the detail level setting in BaseCamp or on the GPS. 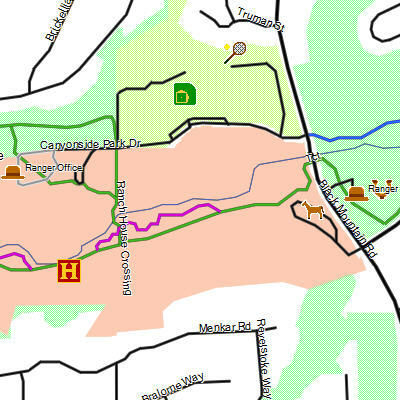 Only Bike Paths (class 1) are blue trails. Bike lanes and routes(class 2 & 3) that are shared with motorized traffic are not displayed on the map as a blue trail. The majority of bike trails on the map are unpaved. Cities that permit horseback riding on the sidewalk or shoulder will have a green trail next to the road. Trail and off-road data was created exclusively for the California Trail Map using modern mapping technologies that produce a highly accurate digital map. The vast majority of the trail data is unavailable on any other digital map or even paper. Search functionality can be used to locate any trail or road by name when using a Garmin GPS, Lowrance GPS or the BaseCamp application. Easily locate the trails you can use. Iconography is used to indicate trail conditions, facilities, businesses, attractions, points of interest or landmarks. Search functionality to locate points of interest by name or category. Most labels are not displayed by default to reduce map clutter. 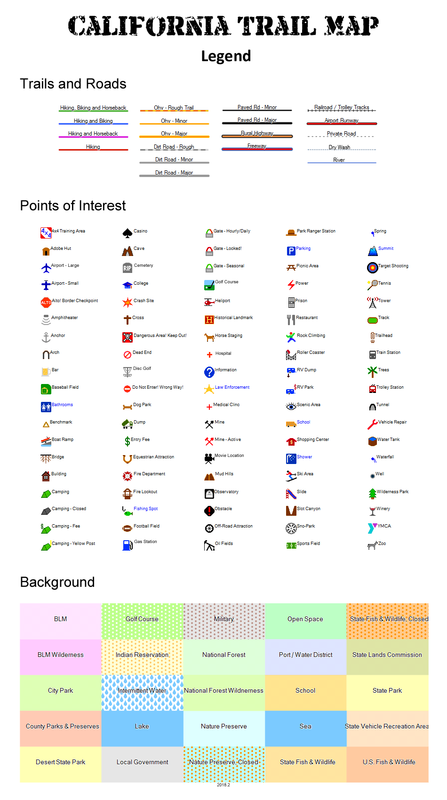 Touching or clicking a graphic will display more information. 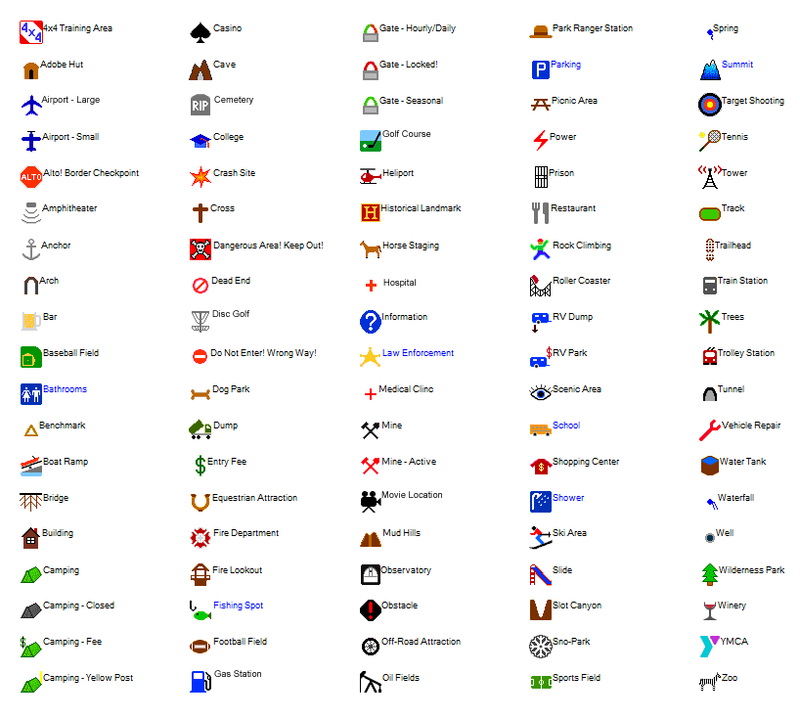 Lesser used icons such as a Parking Lot or Trailhead are not displayed on the map unless zoomed in closely or the search feature is used. Three maps are included; Land Boundaries, Topo Gradient and Transparent. All maps include the same trails and POIs. Color coded background indicates land ownership boundaries. Restricted areas are indicated with a spotted background. This is the only map available for Lowrance receivers. The visual appearance of the Lowrance maps is the same as other maps for your receiver. Elevation is indicated by a color gradient that is white at sea level and changes to yellow as the terrain rises. Topo lines are displayed at 1000', 250', 50', 25' intervals depending on the zoom level. Transparent maps don't have a background. Android and iPhone devices can display the transparent map on top of satellite imagery. Garmin devices can display the transparent map on top of the pre-installed street map or an aftermarket topo map. This map does not include any paved roads because it is intended for use with a map that contains streets. Discover new destinations and plan your trip with the most complete map available. Simplified design makes the map easy to understand while providing more useful information than any other map. 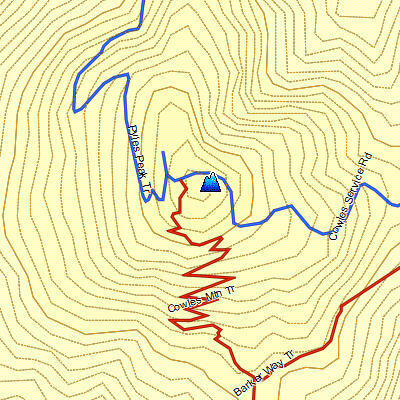 Search functionality quickly locates roads, trails, public lands and points of interest when using a Garmin GPS, Lowrance GPS or the BaseCamp application. High contrast visual design ensures visibility in bright conditions. Night skin to reduce glare(supported Garmin receivers). Windows or Apple computers with Garmin BaseCamp. Compatible with all Garmin receivers except inReach Explorer and marine units.